Li, Y. et al., “Fundamental(ist) Attribution Error: Protestants Are Dispositionally Focused,” Journal of Personality and Social Psychology (forthcoming). Competitors are often told to put on their “game face.” New research from psychologists at the University of Michigan finds that formidable--i.e., high-ranked--competitors adopt a more formidable look. Based on their official photographs, deans of top-ranked business schools were seen as less cooperative than lower-ranked deans, even when judged without knowledge of ranking or identity. These higher-ranked deans were also expected to be less willing to approve a student request. And this correlation doesn’t just appear to be the result of higher achievement of less cooperative-looking people. Male students from the University of Michigan who were told they would be competing in a trivia contest against a male student from a local community college adopted a less cooperative look than if they were told they would be competing against a male student from Yale. Chen, P. et al., “The Hierarchical Face: Higher Rankings Lead to Less Cooperative Looks,” Journal of Applied Psychology (forthcoming). It’s been observed that Eastern thinking is more holistic and less analytical than Western thinking. In a series of experiments, psychologists confirmed this--for example, in looking at pictures, Westerners tend to focus on foreground objects more than the background, in contrast to Chinese people--but also found that this pattern is sensitive to one’s sense of control. When Chinese subjects were temporarily deprived of a sense of control, they became more like Westerners, with a more analytical style of thinking. Losing a sense of control also induced Westerners to become even more analytical. The shift to analytical thinking seems to be adaptive, as it was shown to restore one’s sense of control. However, frustrating one’s sense of control for an extended period caused the Chinese participants to acclimate to a loss of control and become even more holistic. Zhou, X. et al., “Control Deprivation and Styles of Thinking,” Journal of Personality and Social Psychology (forthcoming). without seeing a smoker. Since then, smoking has become more taboo, but it still makes an occasional appearance, even in media that kids get to see (e.g. top-grossing PG-13 movie “Avatar”). A new study finds that the apparent motive for smoking in the depicted scenes is of paramount importance--and that different motives appeal to different viewers. Kids between the ages of 11 and 14 were shown two sets of movie scenes a week apart--the first with no smoking, the second with smoking--and were asked after each session whether they might try smoking in the near future. Kids who initially reported a low risk of smoking reported a significantly greater risk after watching scenes that depicted social smoking, whereas kids who initially reported being at risk of smoking reported a significantly greater risk after watching scenes that depicted relaxation-motivated smoking. 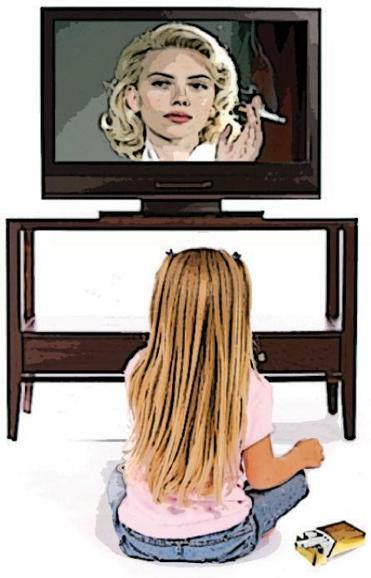 Shadel, W. et al., “Motives for Smoking in Movies Affect Future Smoking Risk in Middle School Students: An Experimental Investigation,” Drug and Alcohol Dependence (forthcoming). So how deep is Mitt’s voice? Tigue, C. et al., “Voice Pitch Influences Voting Behavior,” Evolution and Human Behavior (forthcoming).